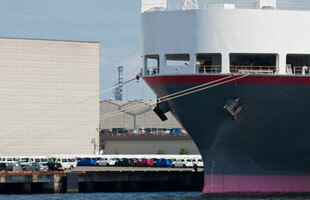 When you need to ship a car from Hawaii to Delaware, Hawaii Car Transport is the most reliable and affordable way to go. With multiple sailings every week and through our advanced network of transporters nationwide, we can simplify your relocation and reduce your rates when shipping from Hawaii to Delaware. Get an instant shipping quote from the calculator to the left or call (808) 445-6695 to discuss your Hawaii transport with an experienced vehicle shipping coordinator. We take great pride in providing our customers with industry leading service and we go to great lengths to ensure that every customer has a positive auto shipping experience. Upon dropping your vehicle off at one of the above port facilities, a shipping agent will inspect your vehicle to notate the current condition of the vehicle at the time of drop off. Your vehicle will then be secured in an air tight container as it prepares for its relocation from Hawaii to the Mainland. Once your vehicle arrives on the mainland, a certified transporter will be waiting to inspect your vehicle and load it on to the carrier. Your vehicle will then be transported to your specified destination in Delaware. Upon delivery, the driver will unload the vehicle and perform a final inspection, ensuring that your vehicle was delivered in the same condition as when it was dropped off at the port in Hawaii. Popular areas that we service in Delaware include Wilmington, Dover, Newark, Bear, Middletown, Brookside, Glasgow, Hockessin, Pike Creek Valley, Smyrna and all surrounding areas. Based on recent dispatch reports, the availability rating from Hawaii to Delaware is 9/10. When calculating availability, many factors are taken into account in order to provide you with the most accurate transportation data and each state is rated individually - Hawaii has a rating of 5/5 and Delaware has a rating of 4/5, combining for a total availability rating of 9/10. 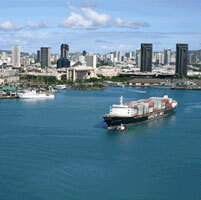 Hawaii Car Transport is a 5 star rated shipping company and we take customer satisfaction seriously. We have five star ratings across all major industry review boards and we are here to serve you. Our mission is to ensure that each and every customer has a positive shipping experience. "Hawaii Car Transport gave me the best quote and stood by it. The entire process from the time I dropped my car off at the port until the time I received my vehicle in Florida was hassle free. Anytime I called they answered all my questions and if they said they would call to follow up, they did. I am very happy with their service and would use them again. Thanks!!" Call (808) 445-6695 to speak with a shipping coordinator today.